Just to reassure ya’ll that I have not fallen off the face of the earth: I’m simply trying to accomplish 2 things at once – get a new (to me, but to few others!) production of Barbiere on it’s feet in a very short amount of time, with all the normal challenges that seem to plague this particular opera house, and trying not to suffocate in the heat here in Milano. The first task being FAR easier than the second! 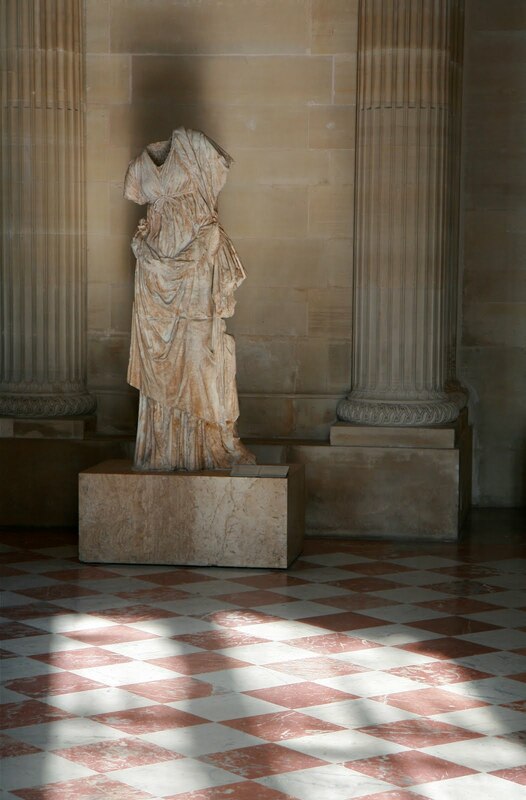 Will catch up soon, but in the meantime, one of my very favorite photos from a second adventure inside the Louvre….